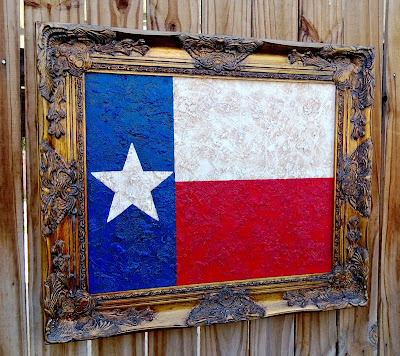 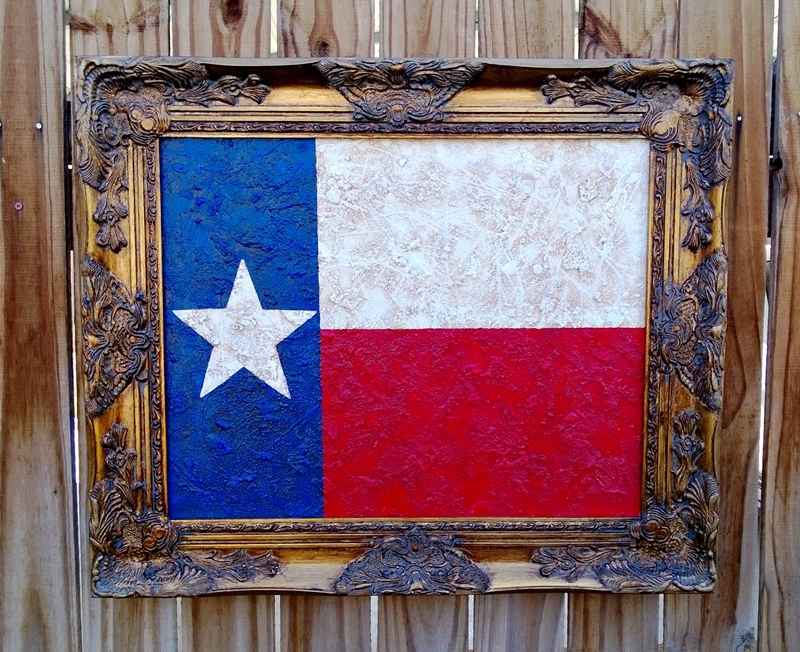 This is a Texas flag painting I made for my husband. It is painted in a rustic style. 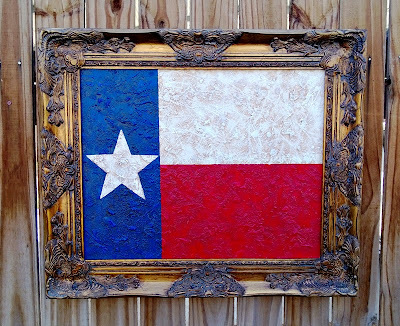 James picked out this beautiful gold magestic looking frame for it.